Do ducks exist in the Star Wars galaxy? 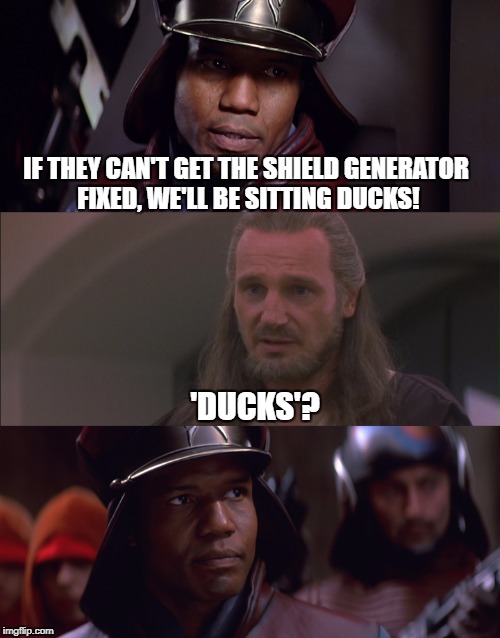 IF THEY CAN'T GET THE SHIELD GENERATOR FIXED, WE'LL BE SITTING DUCKS! 'DUCKS'?